Select the desired Course ID and open the Subscribers screen. Choose the User or Domain in the Subscriber field. 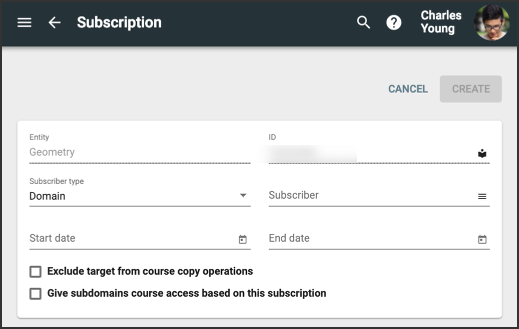 If you want teachers and admins in your subdomains to have access to the subscription, check the Give subdomains course access based on this subscription box. Note: This is only available when you select Domain in step 4. Is it possible to add one user as a teacher to all sibling copies of courses, without clicking one by one?